“Fast & Furious 6” “Fast Six“, “Furious Six“ or whatever the F*CK they want to call it, first trailer will premier during the Super Bowl. I’m real exccitied for this next installment, although for the past year since filming began we had no clue what the film was going to be about. Besides fast cars, women, and heists, we didn’t know what the crux of the story would be until now. The film Starts Vin Diesel, Paul Walker, Dwayne Johnson, Jordana Brewster, Tyrese Gibson, Sung Kang, Gal Gadot, Chris “Ludacris” Bridges, Elsa Pataky, and Gina Carano. 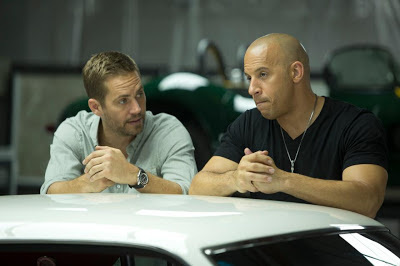 Fast & Furious 6 opens May 24th.